So, if you're anything like me then you will have left all of your Christmas shopping to the last minute. I'm usually quite well prepared (well, better prepared than I am right now) but with my holiday to New York falling at the beginning of December I managed to lose all track of time. 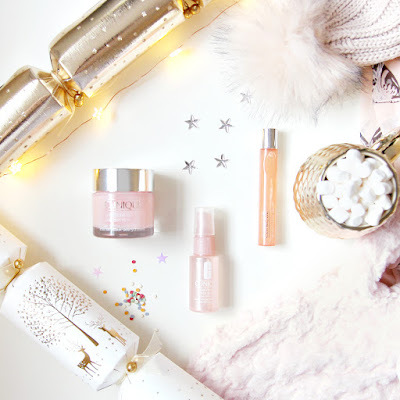 I've put together a guide of products that I think would make beautiful gifts for makeup/skincare lovers, most of them are so well packaged that you might be able to get away with just sticking a ribbon and gift tag on them, if you are really short on time. 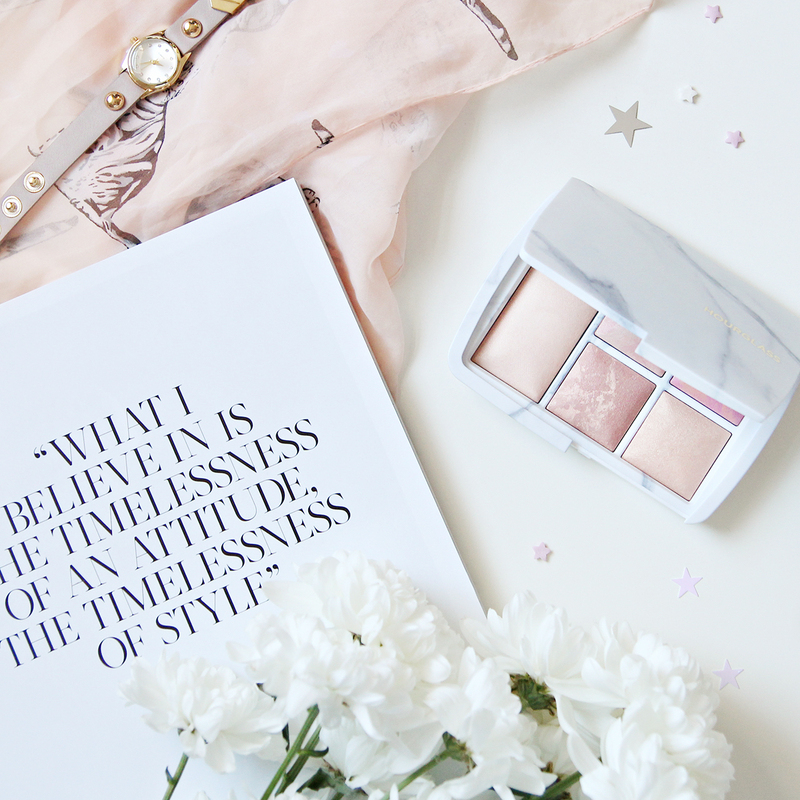 First up is my favourite product from the selection, the Hourglass Ambient Lighting Edit in Surreal Light. 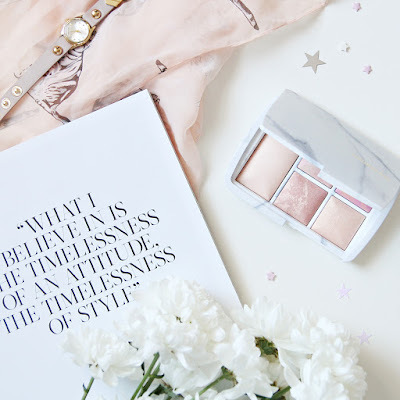 This palette is just beautiful to look at, from the marble packaging to the gorgeous shades - it truly looks as expensive as it is (at £69 this one is definitely on the pricier end of the scale). 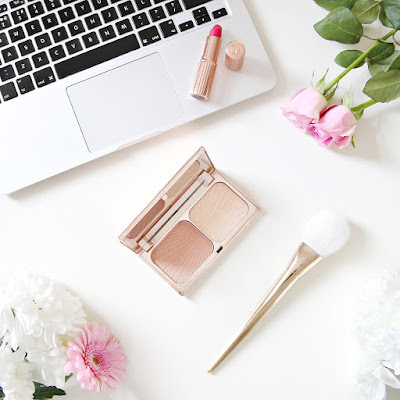 It contains two blush shades, a finishing powder, a highlighter and a bronzer, which make it perfect for travel, plus all of the shades are very wearable and should suit most skin types. 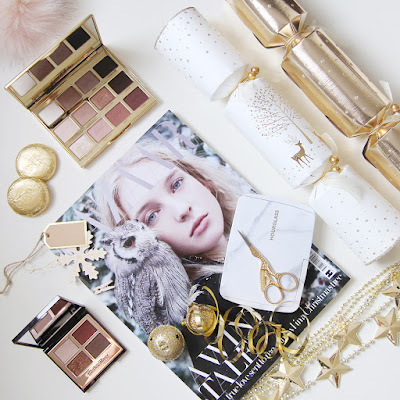 I've included two eyeshadow palettes in this selection, and both are completely gorgeous. The Tarte Tartlette in Bloom Palette contains 12 shadows ranging from bold shades, to very wearable everyday neutrals, including both Mattes and Shimmers, so I think this is a fantastic all round product for eyeshadow fans. My Next choice is from Charlotte Tilbury and is the Dolce Vita Eyeshadow Quad. This is a palette of warm toned shadows, which look very festive, so are perfect for this time of year. The packaging feels luxury, which I have come to expect from CT products, so this would make a lovely present. Another Charlotte Tilbury product I have included is the Filmstar Bronze and Glow, which contains a highlight and bronze. 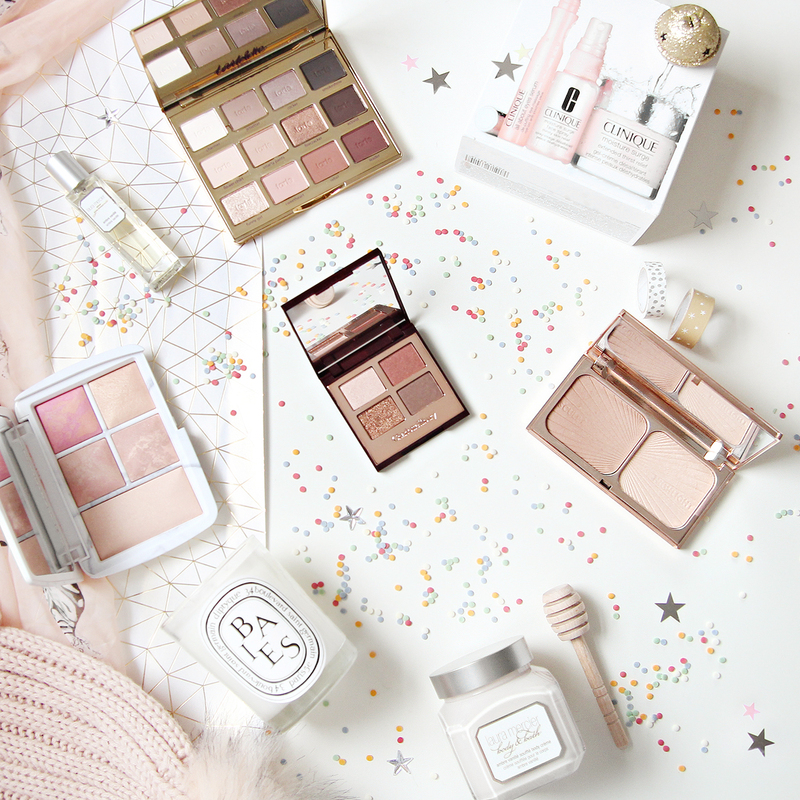 Both shades are beautiful, not too shimmery and perfect for everyday wear (even for my ghostly pale skin), although this palette is so gorgeous that you'll probably just want to look at it! 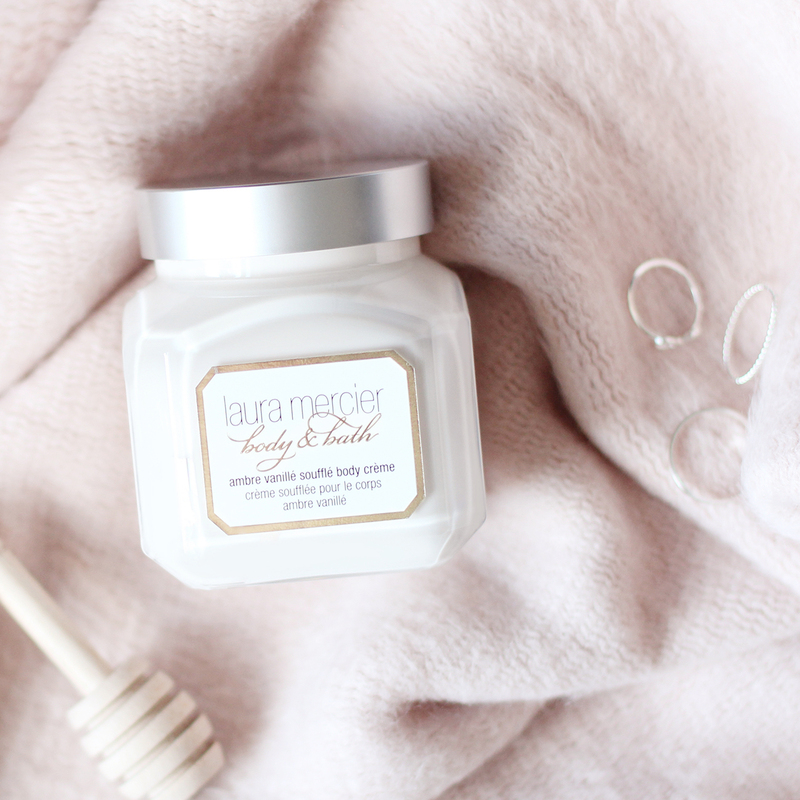 It wouldn't be a Christmas gift guide without a Laura Mercier bath set. 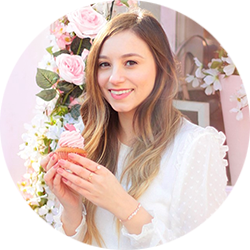 I actually received the Sweet Temptations Ambre Vanillé Collection as a gift last year and loved it, the products are a very good size so will last a long time, and the scent is just so incredible that you might have to warn the gift recipient not to eat it. I always think that candles make lovely gifts, and they don't come much lovelier than the Diptyque Baies candle. Baies is often described as the "starter scent" for Diptyque owners as it's quite mild and comforting, so is a great choice if you're unsure on which candle to choose. They also have a set of 3 mini candles which could be a good option in this case. I feel a bit guilty about including the final gift in the line up, as I've just realised that this particular Clinique Moisture Surge set is only sold in World Duty Free! If you are headed to a UK airport then keep an eye out for this bargain - it contains a large 75ml moisturiser, a hydrating face mist and a de-puffing eye serum for only £37. If you're not heading out of the country then I have also found this similar set which contains Contains the 50ml sized moisturiser, an overnight mask, an eye cream and lip colour balm in Woppin Watermelon, and is still a great deal at £40.